This morning we depart our home towns and get acquainted with our new travel friends on our way to our nation's capital, Washington D.C. We will plan to meet our local guide and start our touring at the impressive Embassy Row. After the civil War, the powerful and socially elite built large mansions along Massachusetts Avenue. After the Great Depression, many of the families who built these homes went broke, and today this area is known as Embassy Row which is filled with Embassies, associations, foundations and clubs who have claimed and restored these lovely homes. 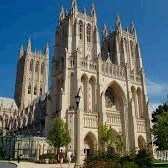 Our touring continues at the Washington National Cathedral (pending availability), standing higher than the Washington Monument, it is the sixth largest church in the entire world. This 14th century style Gothic wonder is situated on 57 acres and took 83 years to build and is a living symbol of our country's heritage of faith and religious freedoms. We will continue on to St. Matthews Cathedral which is one of the most impressive houses of worship in the United States and has been cited as having one of the most beautiful church interiors of modern times. The funeral for President John F. Kennedy was held here on November 25, 1963. Dinner will be included at one of the area's most popular restaurants before we check in to our local hotel for the evening. Breakfast included at your hotel. 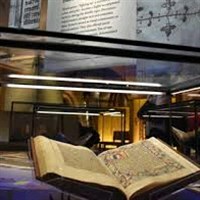 This morning we will visit one of the big highlights of this tour, the NEW Museum of the Bible. This amazing new state-of-the-art, 430,000 square foot, 8-floor facility, which brings the Bible to life and conveys the global impact and compelling history in a unique and powerful way. Spend the morning discovering one of the world's largest private collections of biblical objects and artifacts. Experience the Washington Revelations theater flight simulation through our nation's capital to see the biblical inspiration behind the city's most iconic buildings and monuments. As we continue our inspiration touring, we will visit the Saint John Paul II National Shrine. Designaged as a National Shrime in 2014, this is a place of pilgrimage, displaying two "first class" relics of Saint John from the Romans. We then travel to the Franciscan Monastery of the Holy Land. 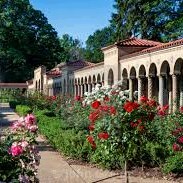 With over 40 acres of roses and azaleas, tulips and more the Franciscan Monastery is a continuous flower festival. Franciscan father Godfrey Schilling founded the monastery in 1897 to educate Franciscan missionaries to the Holy Land. This stately retreat features an enclosed garden with a statue of St. Francis and Holly Land Shrines. The Monastery's main attraction is the eerie catacombs that echo the environment in which the early Christians hid. Our touring continues at the Basilica of the National Shrine of Immaculate Conception, where you will visit the largest Roman Catholic Church in the United States and in North America...and it is one of the ten largest churches in the entire world. A lovely dinner is included tonight before an illuminated monument driving tour. 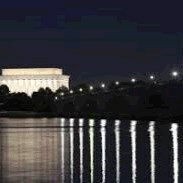 Washington's grand buildings, memorials and monuments sparkle during the day but in the evenings, they are illuminated and soft, focusing on the solid stones and bronzes including fountains and water features, flood lit detail and shimmering reflections - wow! Breakfast included. Our last morning in Washingtn D.C. will include your choice of the Smithsonian Institution Museums on the National Mall which include the National Museum of American History, National Air and Space Museum, National Museum of Natural History, National Gallery of Art and many more. There will be time to enjoy lunch on your own here before we have mid afternoon departure for home. *The daily order of attractions may need altered during your visit if needed which is beyond our control due to happenings and traffic within the D.C area. *The security at the museums and attractions throughout the city can be strict - do not bring backpacks or large bags of any kind. Do not bring any sharp objects of any kind. Plan to travel as light as possible throughout your days with light purses so you can move with ease and freedom through security checkpoints as we go in and out of attractions and buildings. Walking Code 4: This tour requires a heavy amount of walking. to truly experience the program and destinations, you need to be able to participate in physical activities such as long walking tours, walking over uneven terrain, climbing stairs and periods of standing. Some of the touring days may be longer, with select inlcuded activities accurring later in the evening.